The Anaheim Convention Center in Anaheim, CA hosts the annual National Association of Music Merchants show, commonly known as NAMM. Founded in 1903, it is the largest product-based event in the music industry, as well as one of the largest and most significant music product trade shows in the world. 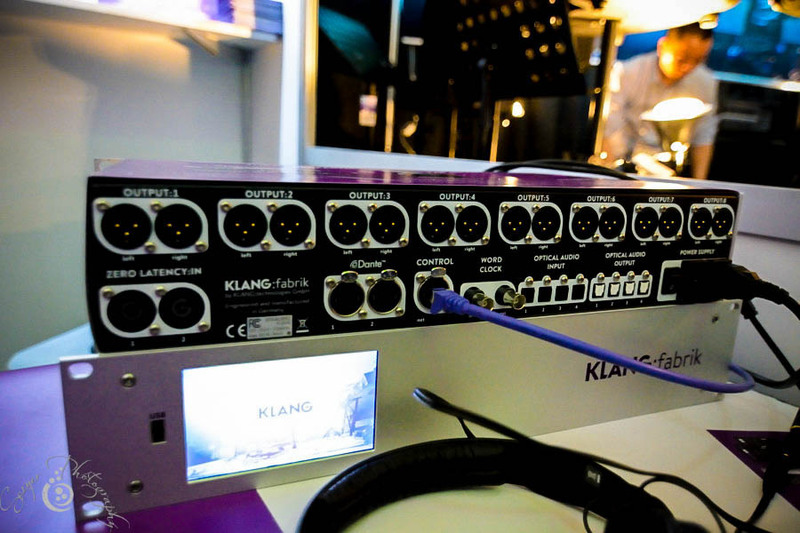 As a trade event, companies exhibiting have to meet certain criteria, such as manufacturing, selling, or distributing musical instruments, or, in our case, be a music-focused media outlet. Convention attendees eagerly waited for the Anaheim Convention Center's doors to open. 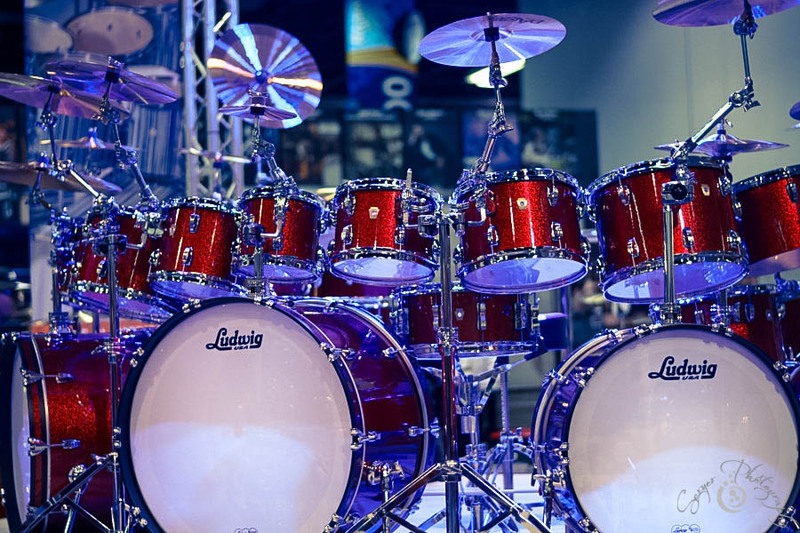 Members visit a variety of booths prepared by these companies, and you get to demo new instruments and see, first hand, the latest product updates. 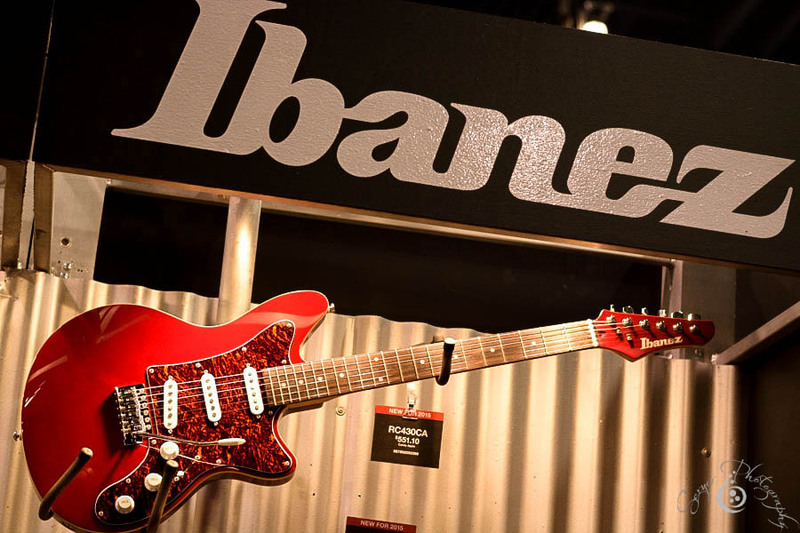 Ibanez featured their Paul Gilbert Ibanez PGM8oP Signature guitar. Ibanez bass guitars were lined up on display racks where viewers were able to walk through a heavenly maze-like exhibit. Paul Reed Smith himself gave an introductory speech at the PRS Guitars exhibit in honor of PRS Guitars' Thirtieth Anniversary and releasing the new Private Stock Thirtieth Anniversary Dragon guitar. Former Chimaira lead guitarist Emil Werstler, Jimmy's Chicken Shack guitarist Island Styles, Paul Reed Smith Guitars artist Bryan Ewald, PRS exhibit artist and bassist for the Paul Reed Smith band Gary Grainger, and Intervals guitarist Aaron Marshall all took the PRS stage together to demonstrate new PRS guitars, fresh out of the box. 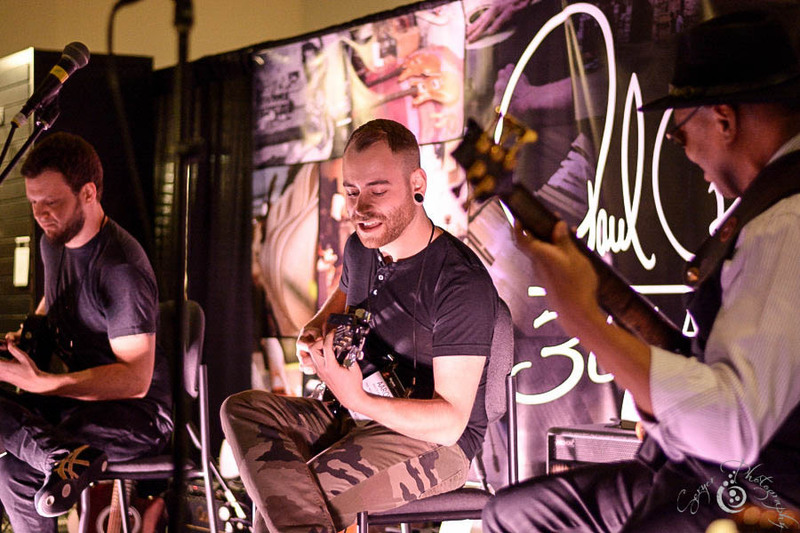 The Private Stock, Core guitars, S2s and JSEs were played for less than 30 seconds backstage before handed to the guitarists in order to produce a genuine first-playing-experience with the new products during the demonstration. 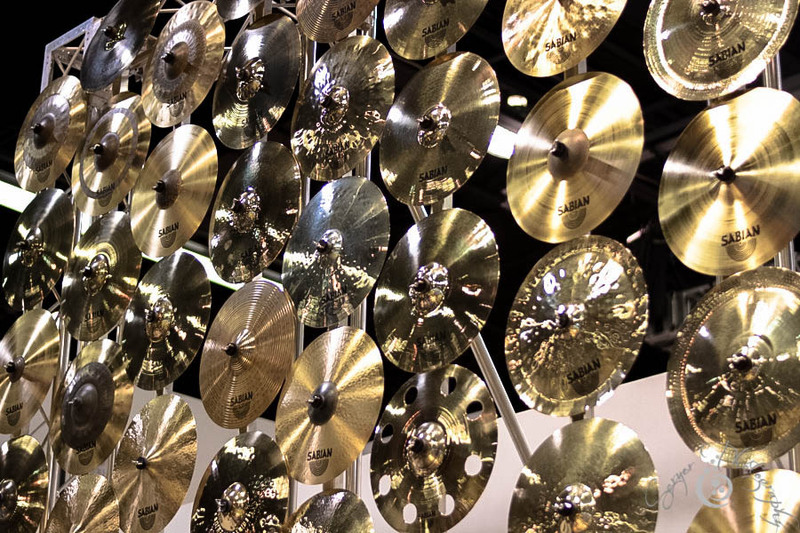 With many of the cymbals carefully hung on display, Turkish company Bosphorus Cymbals launched their new Ari Hoenig signature line, dubbed the Lyric Series. 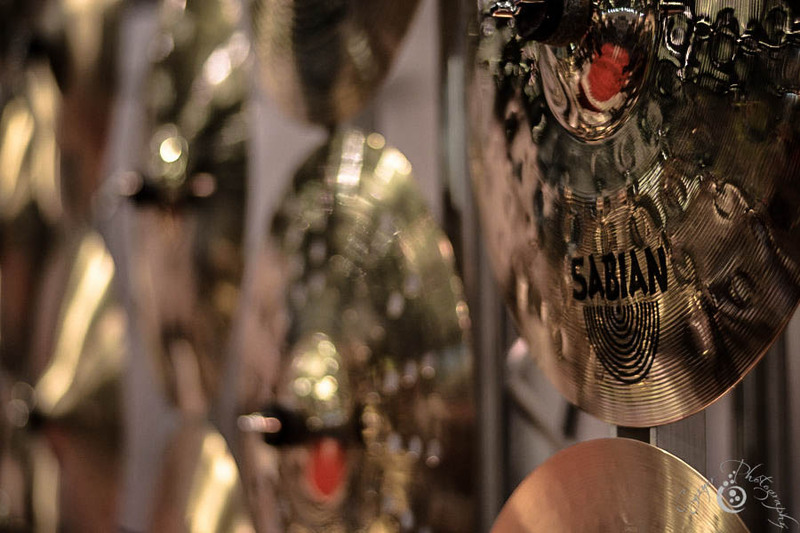 The new line of cymbals are crafted with a 23'' ride, 21'' crash ride and 14'' hats. 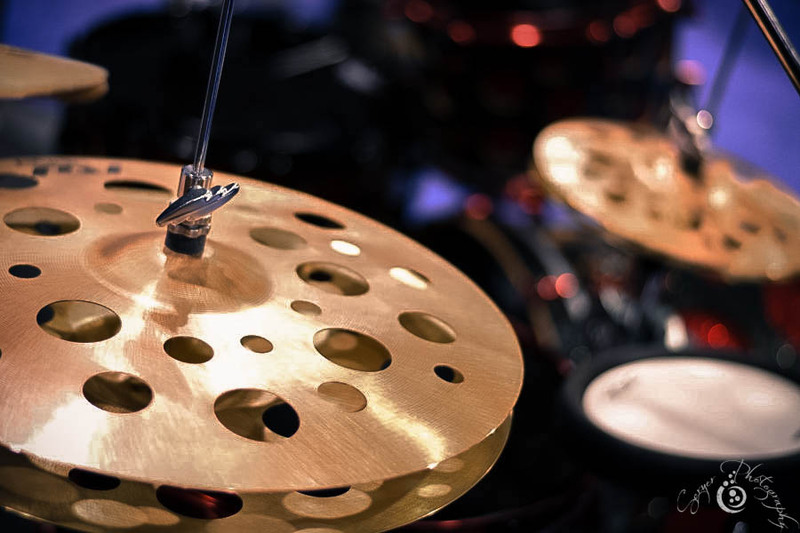 Also introduced alongside the Lyric Series were the Bosphorus Cymbals' Black Pearl Series. 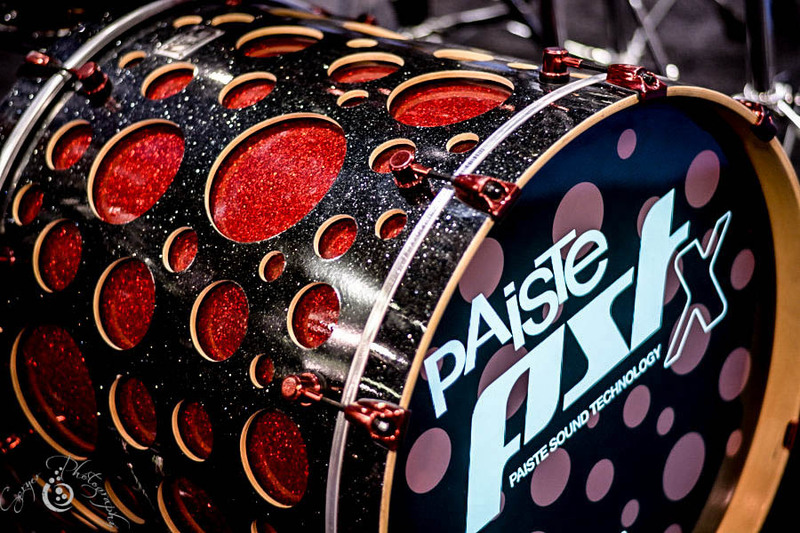 Custom drummakers Trick Drums are known for crafting their kits from high-quality, aircraft grade aluminum drum shells. Trick Drums C.E.O. 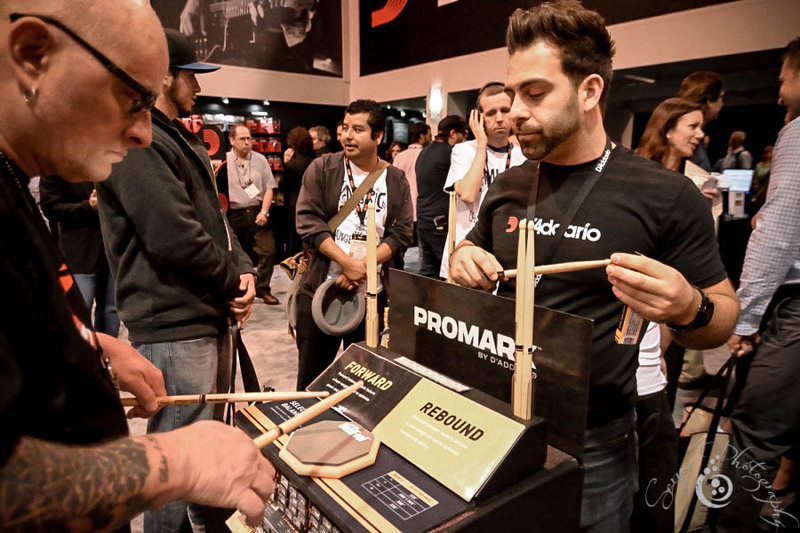 Mike Dorfman and shop set up at NAMM to display the Pro 1V Double Pedal model, easy to adjust Pro 1V hi-hats, zero latency SB1 Triggers, GS007 Strainer, Resonator Cymbal Springs, quick release cymbal toppers and the Trick 360 Floating Drum Mount. 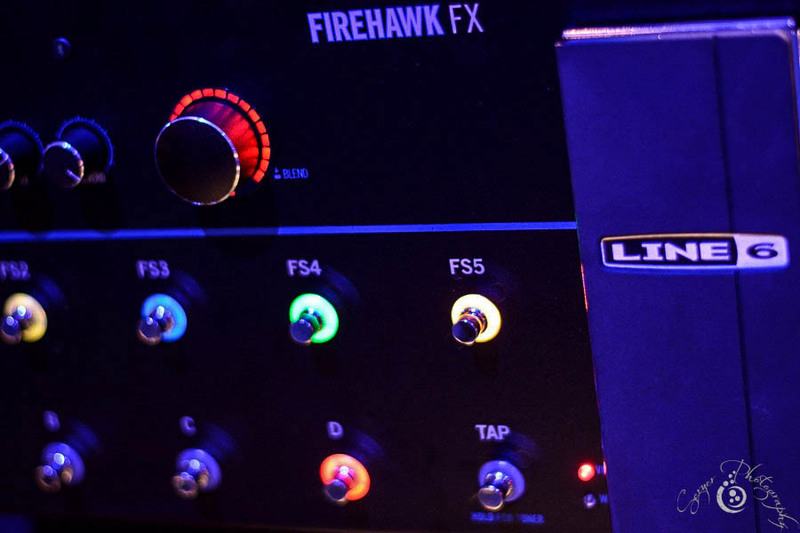 Line 6 announced their new and innovative guitar processor, Firehawk FX. 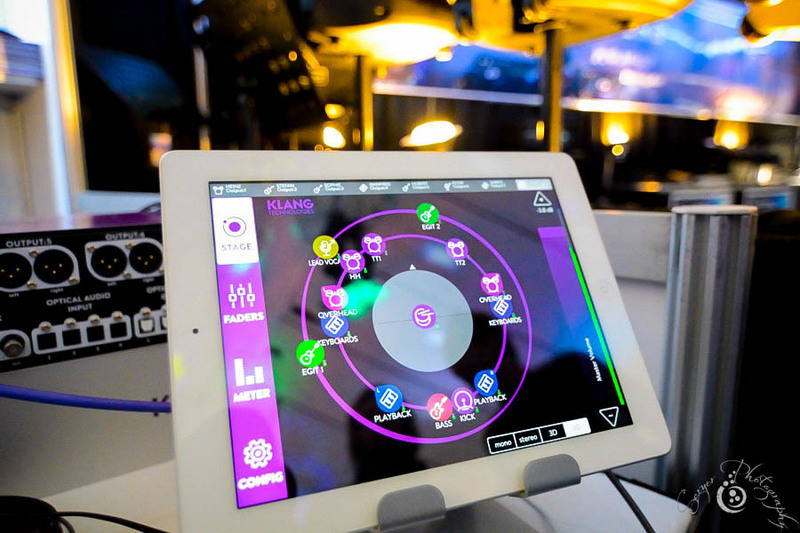 The newly released multieffects system is built to amalgamate superior tones, equipped with over 200 effect and allow for wireless editing. 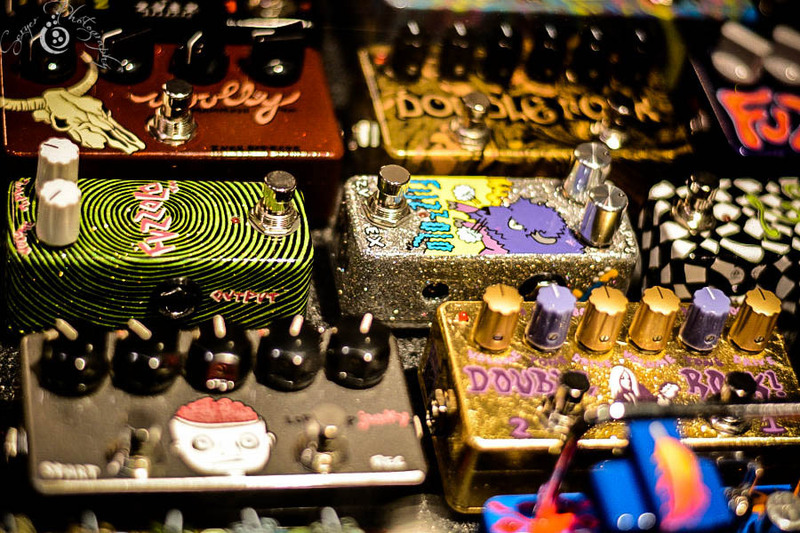 Visitors gathered around the ZVEX Effects booth to view the showcase interior adorned with famously hand-painted guitar and bass guitar distortion pedals. 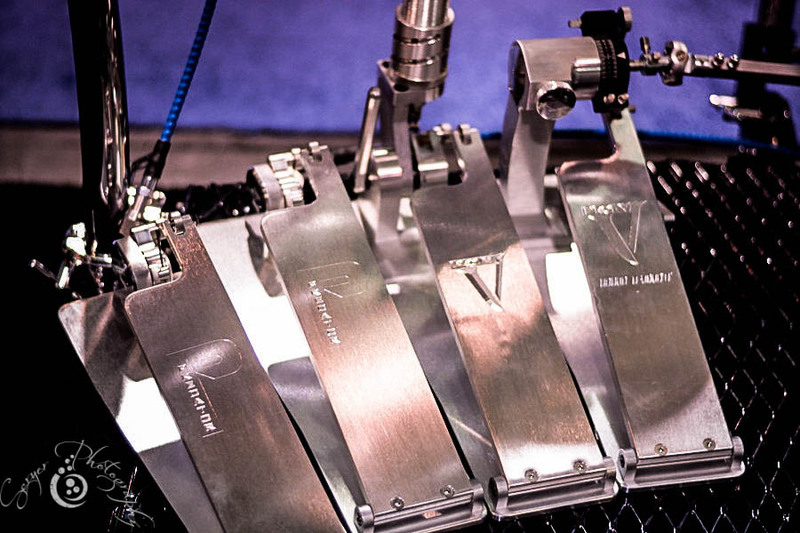 A few of the most popular pedals demonstrated this year were the Woolly Mammoth 7, Pedal Thief, and Midi Light Show. For six years, the ESP Guitar Company has maintained their station in the same room on the second level, and each year, the company redesigns the interior to create a new experience for visitors. This year, ESP celebrates their 40th Anniversary. 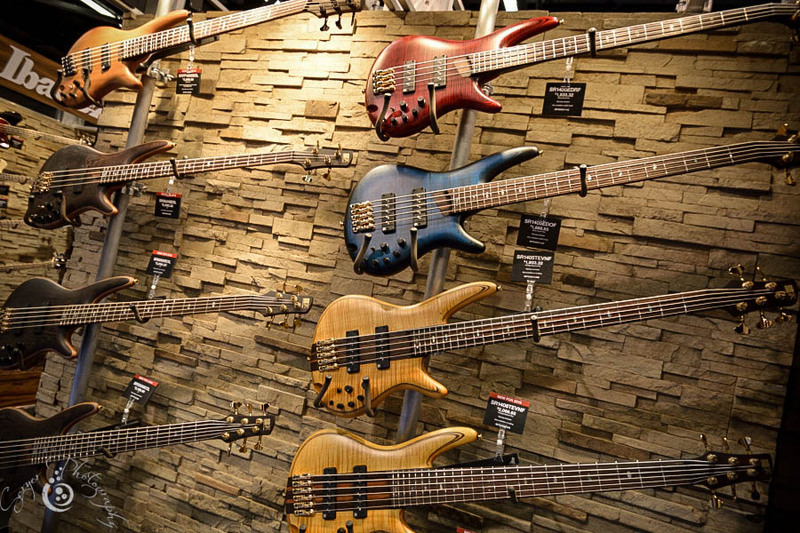 ESP presented their special Exhibition Limited models in the ESP Custom Shop. Gary Holt of Slayer and Javier Reyes of Animals As Leaders performed at the ESP booth. If you missed the opportunity, NAMM has a summer edition, as well. Nashville will host the event this July.